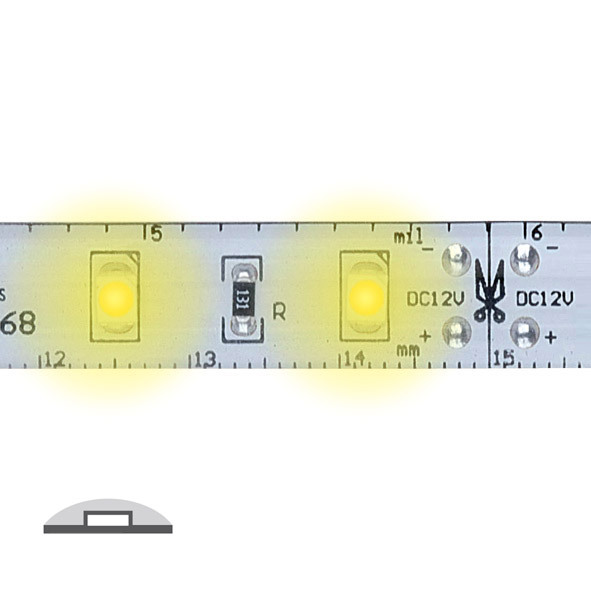 Linear lighting with monochromatic or RGB LEDs. Can be cut at predefined distances: 50mm (monochromatic versions), 100mm (RGB versions). 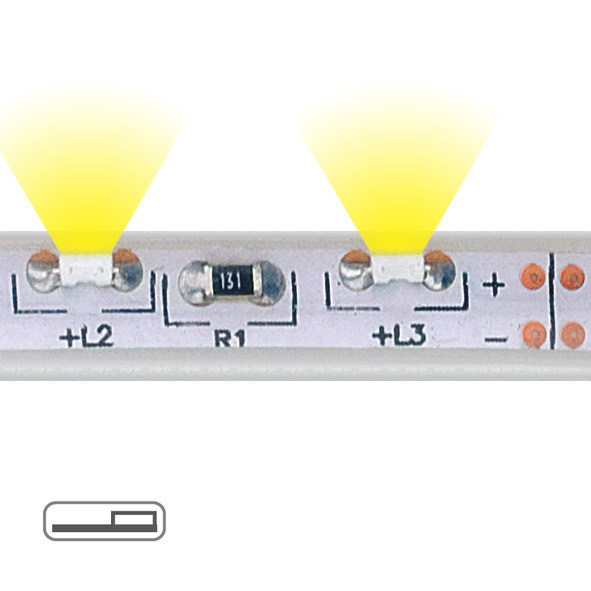 When using the RGB Ledstrip in line the white mix may not be homogenous.